The new Alpha Performance Porsche Macan High-Flow Air Filters are exactly what your performance SUV needs to take deep breaths and produce more power! Simply dropping this filter into your Porsche’s stock air box alone quickens throttle response and livens up the top of the powerband. This is the first in a long line of performance parts you can expect from Alpha for the Porsche Macan. The engineering behind our high-flow filters is what sets them apart. Our Alpha Performance Filters are made with materials specifically designed for automotive applications. They consist of a synthetic non-woven multi-layer structure. The filter does NOT use oil or chemicals of any kind to aid filtration and will not degrade over time with exposure to varying temperatures and humidity like similar cotton based filters. This creates consistent performance between cleanings over the lifetime of the filter. The filter is easily cleaned by blowing compressed air across the media from the inside out to blow off residual dirt and dust. Each Alpha Performance High-Flow filter flows an incredible 640 cubic feet of air a minute. The filters being able to move this much air makes them effective to over 800 horsepower in the V6 powered Macan. To take it one step further the filtration media is tested using the ISO 5011 Fine Testing Standard to a minimum of 97% efficiency rating. Let your Porsche breath, order your Alpha Performance High-Flow Macan Air Filters today! Air Filters and Tooling Made in the USA! Interested in why too. 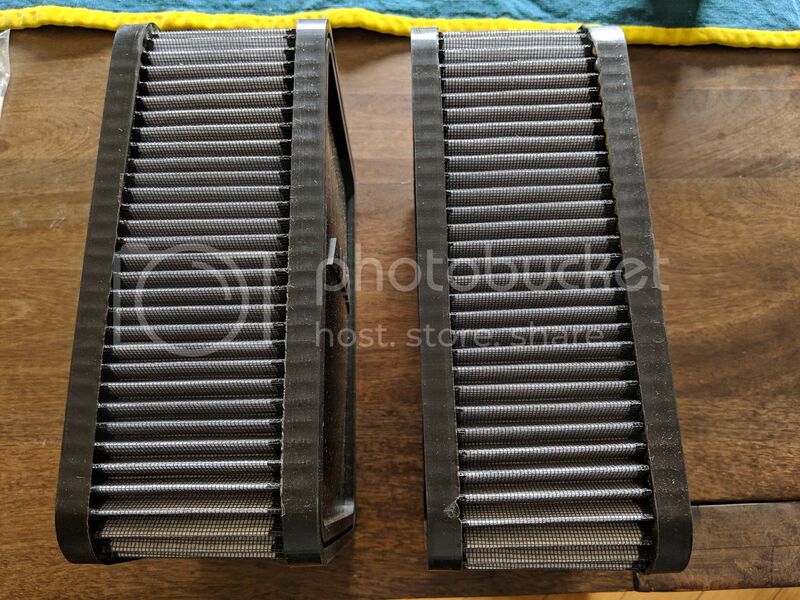 Looking at getting these or the flat6 filters. I've had both - Flat6 fit better. Had to "squeeze" the driver's side AMS filter to get the filter housing door to close. cipher - I ended up with two pairs, installed one set, selling the other. 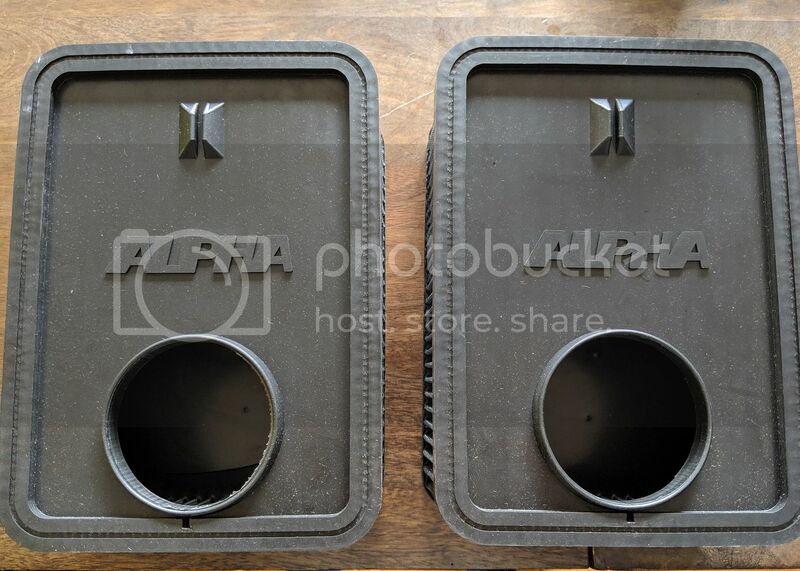 jeffbtx - In my opinion it's good that you had to "squeeze" the filter to get the housing door closed, that's how this design works, the sliding door presses the filter towards the opening providing a positive seal, you don't want the sliding door to slide in easily. 1 Attachment(s) Go to first new post Helloooo!